Gonna try to make this fast as I’m writing it at 11 p.m. and I want to be in bed in 15 minutes!! 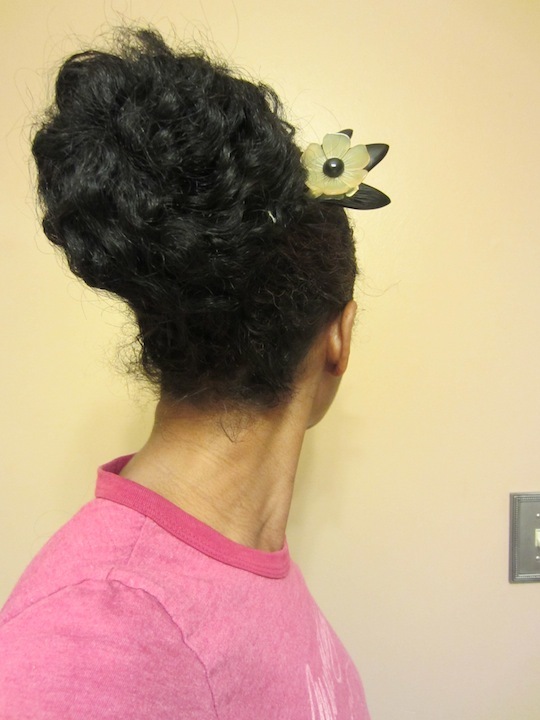 So, as promised, I bunned my hair yesterday (used a satin scrunchie, a mini jaw clip, one bobby pin and one hair pin) and I accessorized with my “new” hair fork! If you remember, back in November, I did this post about these really cute hair accessories by the eBay shop QueCraft. Well, I ordered a few pretties shortly thereafter. 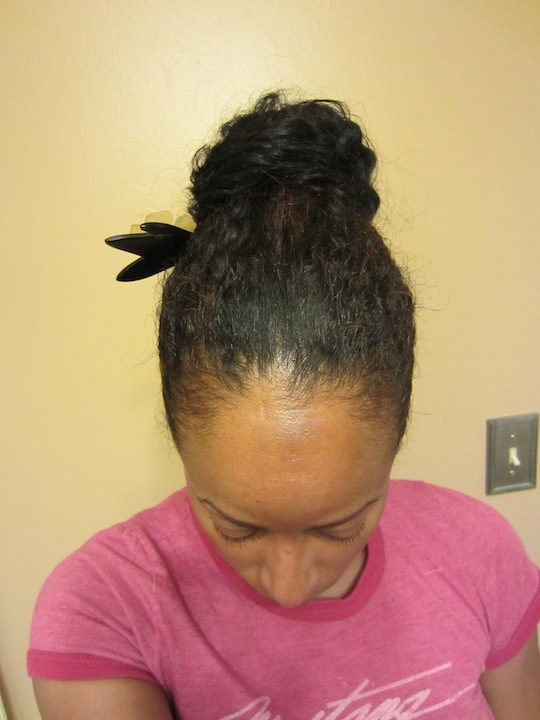 However, I also got my Afro puffy twists about a week after the items arrived. 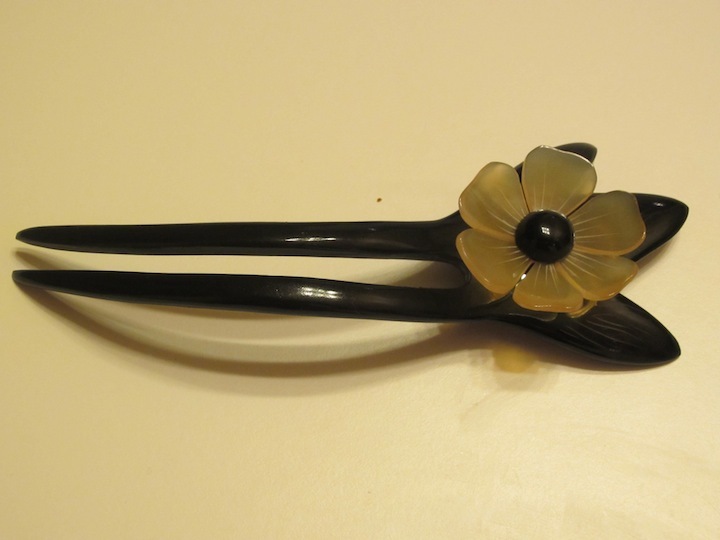 And, unfortunately, this particular hair fork had a broken petal. However, the international seller was so responsive! I sent a message to advise of the damage and the replacement arrived more quickly than the original! But, I didn’t get a chance to wear it as it still arrived after the twists were installed and they were too thick to wear with it. Anywho, I got to wear it now! It’s very lightweight and pretty. It’s made of organic horn, but it kind of looks and feels like a good quality, lightweight plastic. Maybe I just don’t know organic horn. But, it was, like $8 or $9, so totally worth it either way. Here are a few more pics. In other news, as some seemed to like the outfit post with the hair post yesterday morning, figured I’d share my Thursday look. With my “hippy bootiliciousness,” genie pants can be tricky! I always fear looking like an ice cream cone! However, when I saw these pants at Marshall’s (again, on the clearance rack … yo, always hit clearance first … you can clean up!! ), I figured I’d give them a try. They were so loose, I thought that they would be okay as they’d skim over my problem areas. Yesterday, I worked my way from the bottom up. 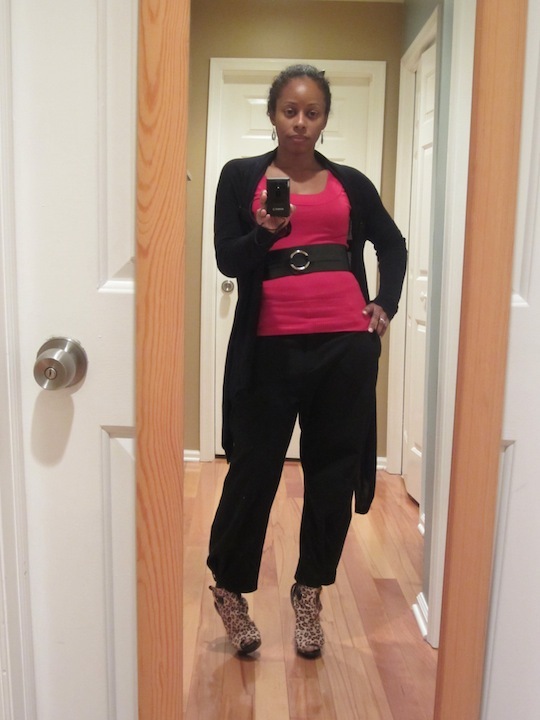 So, I decided I wanted to wear my leopard peep-toe booties. I got these from MJM. They were a bit of a splurge for me, maybe $80? But, I don’t find many boots that I like anymore. So, I’ll splurge if I find ones that I love, because I don’t buy a lot of shoes … anymore. Anywho, then, I thought about what top to pair with the outfit. Red always works well with animal prints, so I dug up a red long-sleeve sweater (a bargain from Forever Twenty-One) out of a a laundry basket of half unfolded sweaters that’s been moving back and forth between the living room and bed room for a month *smh*. The, I grabbed a black, wide belt (has an adjustable slide in the back) and one of my favorite black, drapey cardis (another Marshall’s find … can you tell I live there?). And this is what I got. Oh, and fishnets. I love me some fishnets!! The weather has been super mild in NJ for the last week, so I could let the little piggies peak out!! That’s it! And dang it, it’s 11:30!! Frick! 1/31/12 UPDATED TO ADD: So, I decided to do a little research to help those interested in recreating this style track down similar items. Luichiny ($62.99) – This is an ankle strap wedge, but gives a similar effect. Kelsie Dagger ($89.99) – This is a round-toe rather than peep-toe, but I think it could work. On another note, how fly is this L.A.M.B. bootie I came across in my search for leopard peep-toe booties? Too bad they're almost $255 :(; that's out of my price range! So, what are your plans for this weekend? Anybody got anything good going on? Think it’ll be a quiet weekend with the SO for me. I love the look! I have tried Marshalls and never seem to have luck but maybe I will give them another try this weekend. 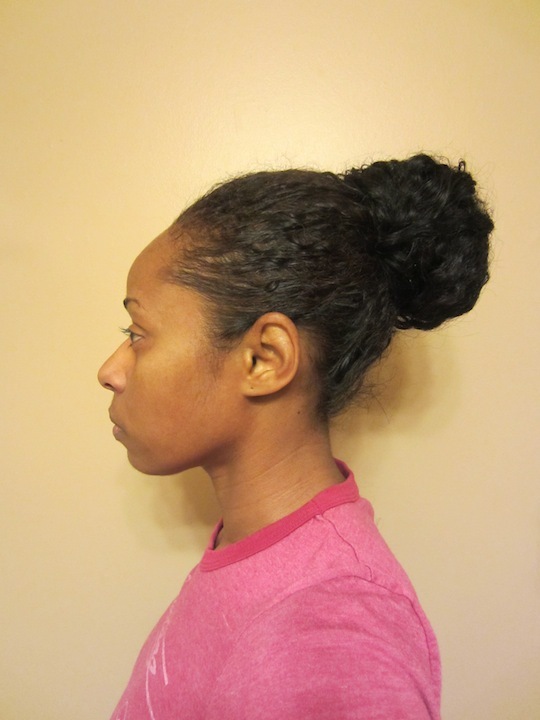 This weekend will be filled with twisting my hair after a wash and condition and then pulling it back in a bun. Transitioning is wearing me out but that is another story for another day. BIG SMILE! I’m with you Heather! I never find a really good buy at Marshalls. I don’t think I have the patience to pick through the massive amounts of clothes, not to mention that they are never sized correctly. Thanks guys. You know, I hear that all of the time about Marshall’s, but I swear, I always can find something there to buy! This is especially true now that they have the mega shoe shops! OMGosh, I just have to stay out of them if I don’t want to have, what I call, “an incident.” This is when I go out and end up spending $200-$300 on a massive Marshall’s or TJ Maxx haul. It’s been a while since I’ve done that. Also, I find it so much easier to shop in Marshall’s and TJs because I go to the item of clothing I want (pants, skirts, sweaters, dresses, tops, etc.) go to my size(s) (cuz we know how that is nowadays) and start looking. In department stores, everything is everywhere! Also, like I said, I can almost always find something on clearance. And, the thing I love about Marshall’s is that there aren’t necessarily a lot of the same items. I tend to be able to find some unique pieces that I don’t see anyone else wearing. I will say this though, when I’m in shopping mode, I will go in the dressing room 3 or 4 times with armloads of clothes and just try things on until I find something that calls to me:). So, that story for another day … am I ever gonna get it ;)? scheduled for work all weekend. Thanks Marsha:)! I’ll post the good ones:). I was pretty regular today. 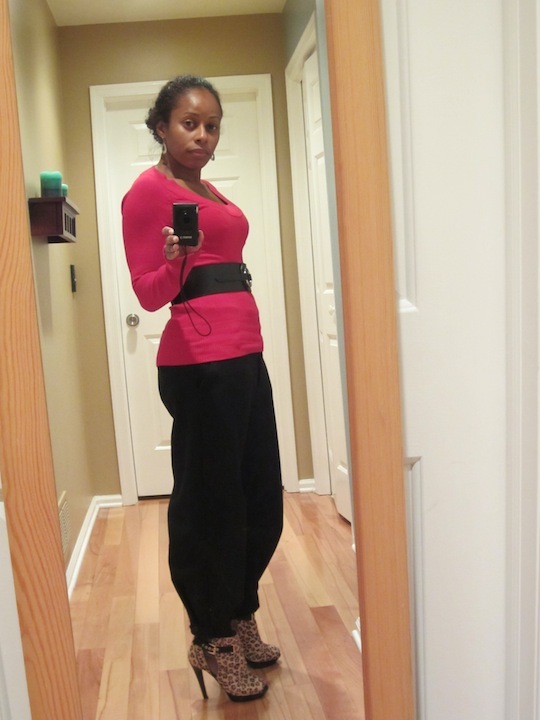 But, I took pics of an outfit I wore a while ago and I’ve been meaning to do a post with that outfit. So, I’ll have that up next week:). My sister was supposed to send me a post with an outfit she wore … teased me with a message about how awesome it was and all … I text her, where’s my post? She’s like, “Oh, I took off the outfit before taking pics.” Bum! LOL!! I love the outfit! I don’t think I could wear something like that to work without my co-workers giving me the stare like “where is she going?” I feel sometimes it doesn’t matter what you do for a living, a woman likes to dress up and feel special. This weekend will be very low-key for me. Maybe I will henna and then try to piece together some outfits to wear to work. Thanks Miche’al! You know, if you wear it with confidence, people will say, “You can pull so many looks off, I can’t do that.” 😉 Seriously, people always compliment me on my outfits, but say that they couldn’t wear it. I think you can wear a lot of things at work and have them look professional, but unique and slick. It gives me that extra umphh when I know I’ve put together something that isn’t the same old slacks and sweater:). Try it, you’ll be surprised how a little piece of flair in an accessory or a print can really take things up a notch:). I love those pants! I had the same trepidation about those style of pants, but you’re making me want to give them a try. It’s a low key weekend.Other than flat ironing my hair, I don’t think I’ll be doing very much. That looks fabulous! I need you to take me shopping lady, I like your style. I wouldn’t ordinarily consider wearing harem pants, but this looks well put together. Thanks ladies! Adrianne, if you can find a pair that fits the waist and then flows from the leg and stay loose (but not too ballooney) down the leg, you should be good! Hello. My name is Krystal and I am a Marshall’s/TJ Maxxaholic. Yes! I love Marshall’s, T.J. Maxx and Home Goods (all owned by the same company). I go to those stores first when I’m looking for nice high end clothes, shoes and housewares. I got the cutest Biondini boots from Marshall’s 2 weeks ago and a nice maxi skirt. I love how you paired those puffy pants with the boots and top. Great job. I love this outfit! I’m straight going to try to replicate it! You are now my second most favorite blogger – second only to Nikki! Krystal … right?!?!? Girl, I decorated half of my house at Home Goods! That’s where I get my linens, towels, little do-dads! Love them! And thanks! Jeanette, awwww, thank you!! That’s a HUGE compliment as I know there are MILLIONS of bloggers out there. So, thank you:)!! And, you have to send me a pic if you do a similar look!! Please!! LOL!! I like those booties. I never heard of MJM before though. Oh well this weekend is laid back. I’ll be going to the gym, doing a bit of housework and then maybe going off to watch Sherlock Holmes. On the hair front, as i have a TWA I will be doing the same thing i do everyday – scalp massage with coconut oil (then workout), slap on some condish and cover it all with my shower cap and beanie, let that stew for as long as i can, then wash it all out and then moisturise and seal. Thanks ladies:). Nikki, it’s a “subsidiary” of Burlington Coat Factory and a huge shoe warehouse like DSW, but with better prices and selection, IMHO. Kara, thank you!! And yeah, you can do it! Start with a little flair in the form of a hair accessory or scarf of funky shoe and go from there;)!! Leslie, I’m sure you can find something similar! 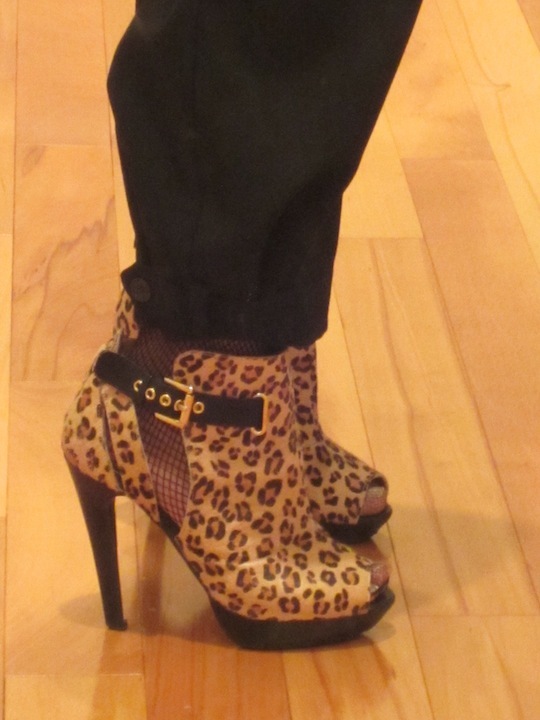 Just google leopard peep toe booties!! Oooh, and I still want to see Sherlock Holmes too! I wonder if it’s still in my local theater. I’ll have to check. Sounds like you got a nice little pre-poo weekend going:). Cute outfit. I bought cute hair pins from the same company. Unfortunately I had a broken petal as well. Whats the deal with the petals?!? Lol. For the life of me, I don’t find cute gear in Marshall’s but I live vicariously through you guys. My weekend was a DIY hair treatment. 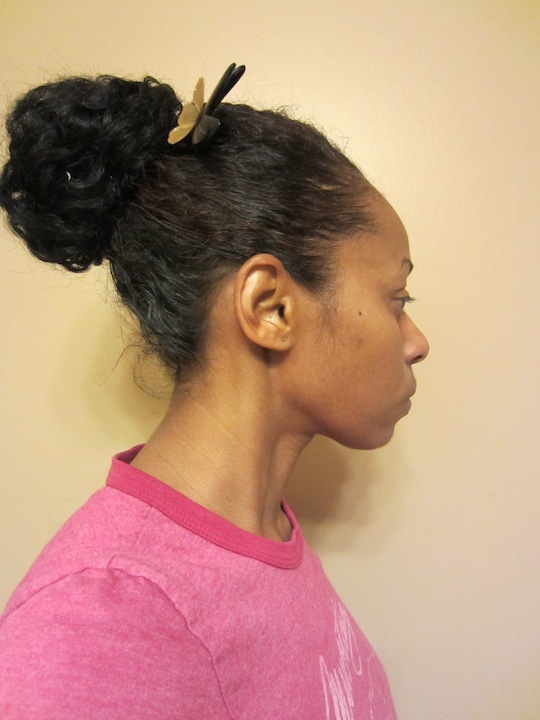 Did my first henna gloss with leftover henna I had in the freezer….love it! Beats a full henna treatment and my hair is bouncing and behaving. I used Tresemme naturals conditioner for the “glossing”. I will use a thicker conditioner/concoction in the future. I was gonna say … that wasn’t too runny?? Yeah, try the Sally’s GVP Conditioning Balm. It’s super thick and what I always use for hennas. I don’t really call it a gloss though as I allow full dye release and use a full “serving” of henna rather than just adding a tbsp or two and applying immediately. I read Nikki’s henna “gloss” recipe when I first discovered the site and when she said it had the same dye uptake as a full strength, I thought, “Why not always add a cup of conditioner?” I see that’s she’s recently taken on that philosophy as well!! LOL!! You are absolutely right, I will start adding a cup of conditioner to future full servings of henna treatments. Thanks for the suggestion regarding the Conditioning Balm, I’ll try it next time. OMG – the LAMB booties are FIRE!! They have to be on sale somewhere- President’s Day, Lincoln’s birthday, Groundhog’s Day (lol) , something! LOL!! Aren’t they though?!? The leather looks like BUTTER!! Girl, you know I searched …. the cheapest I found them was at shopbop for $199 and they were sold out. But, Marshall’s and MJM carry L.A.M.B., so I’m going to be keeping a look-out for these babies! They are splurge worthy if I can find them for about $120-$150!! 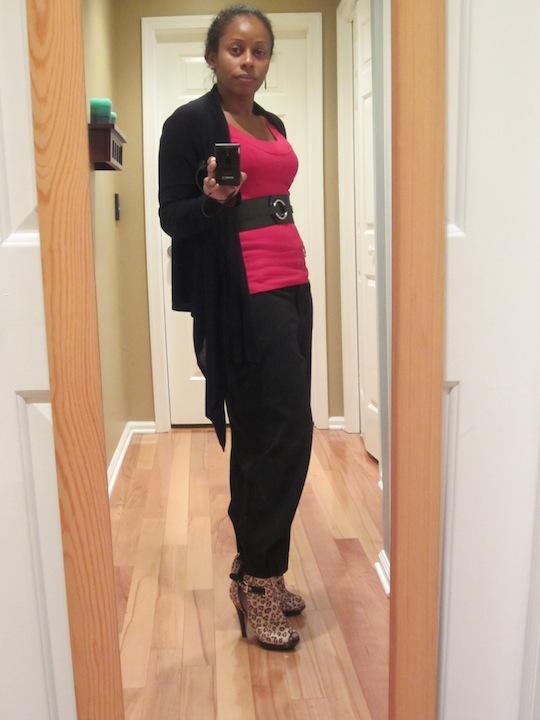 Those shoes are effing gorgeous, you should definitely post those on Curlynikki for her style edition. The ladies would love to see this from you, and to bad there is no contest to win those shoes. Wiping tears away j/k. I doubt they would have those in my size I have a big foot size 11 at 5″10. Awwww, thanks Zyaran!! I sent her the post, but she seems to have the fashion bloggers segment on lock. So, we’ll see:). I understand if she doesn’t post it. If she does, cool:)! As to the shoes, these are a couple of years old. But, I did some searching to update the post with other options just because of you:)!! Hey Shellie. I know you’re a Mashall’s head like me so I must tell you that they sell L.A.M.B. shoes too. (As well as Pour La Victoire, Betsey Johnson, Roberto Cavalli, Prada, Coach, Via Spiga, etc.) It depends on the neighborhood the store is in. I usually go to Nordstrom or Bloomies, window shop and stop into Marshall’s a a month later and voila there they are for atleast 1/2 the price. Melisa, you must not have seen my comment above:). I said the same thing about Marshall’s carrying LAMB:). You know I’ll be checking! !